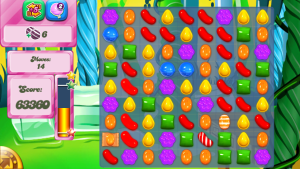 Candy Crush is a whole lot more than a candy switching, toe tapping, brain tease…Its a Saga! 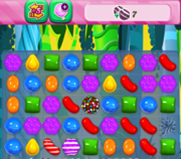 and part of this magical mystical journey is developing the knack to create special candies. 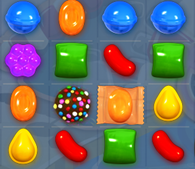 What could be better than making a candy that wipes the board of a single colour? Well maybe teaming it up with a striped candy or another freckle is a little better but you get my drift, these sweets are handy! 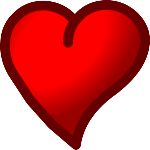 …Some would say they are the ‘bomb’! All you need to do is gather five candies of the same colour, not necessarily as easy as it sounds but the good news is there are some handy hints to remember when trying to make this happen! 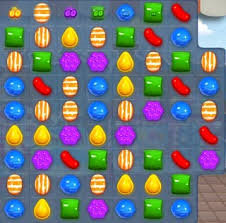 First is the horizontal drop, then the vertical slide and then there is a way to set them up by finding two pairs of two, either horizontal or vertical divided by another different coloured candy, then it’s a matter of running candies through the middle until you hit the right colour. The key to this is crushing the candies only in that central column without disturbing the two sets on either side. 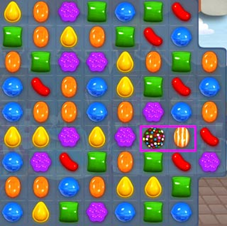 Colour bombs are possibly the most useful of all candies, alone they can be switched with any candy to remove every piece of that colour on the board, this is especially handy if a candy is locked in jelly or otherwise unreachable. 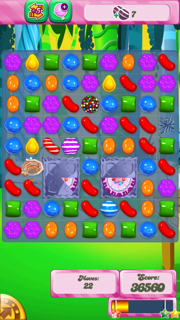 Knowing how to set up and make great combinations can mean the difference between sitting on a board for weeks or chugging straight past with your spare lives intact, would it be mean of me to say level 65 is in fact easy? Well easy when you can set up the board clearing bombs required. Then try again by clearing more of that column, in this case the orange. Which dropped down the required blue! 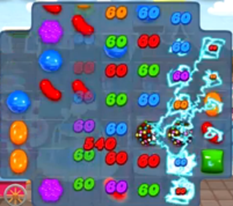 As moves are limited when crushing candy you need to look for ways to literally get the most bang for your buck, perhaps the biggest bang is when you team up two freckles, it systematically clears the board with a satisfyingly spectacular lightning storm. When you team up a colour bomb with a striped candy the effects are also pretty impressive, it effectively turns every candy of that colour into a striped candy that then explodes. You can’t control the directions in which they go but it’s definitely handy in clearing a board and reaching any tricky spots. 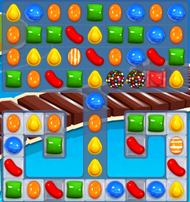 A candy bomb combined with a wrapped candy is similar but without as much ‘oomph’ it will trigger a two part sequence. 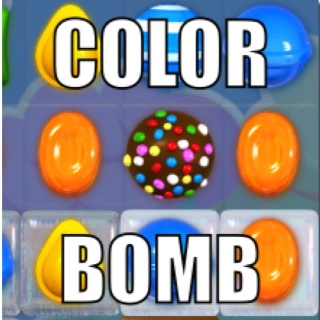 Initially it will turn all candies of that colour into a wrapped bomb and set them off and then the candy bomb comes into play and removes another random candy colour. Its not the most effective explosion but it certainly serves a purpose in some situations, it’s also fun if you like blowing things up I guess!